Is ginger safe for pregnant women and babies? Ginger, known as the wonder spice is the root (rhizome) of a flowering plant. It has various colors such as red, white and yellow. The yellow kind is commonly used in the kitchen and for making tonics. The herb is widely known for its antioxidant and anti-inflammatory properties. The primary use of ginger is of course for its unique taste that spice up our favorite food and drinks. Include ginger in our diet, and we can enjoy the health benefits that it offers. So here are several healthy ways to eat raw ginger. Soup- let’s call it a tradition, but making ginger soup during cold rainy days provides a pleasant warmth in our bellies. Drinks-do you know that we can make tea, juice, ale and even latte using ginger? 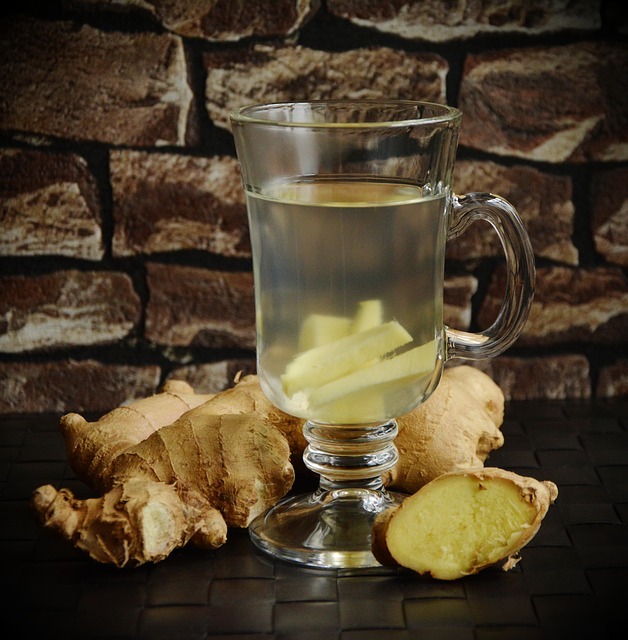 Ginger tea can be both a beverage and at the same time a remedy for some discomforts. Making ginger tea is natural. You only need peeled ginger, water and a little bit of honey.If you don’t have time to make ginger tea, you can buy ginger teabags at stores. Drinking tea is best to lessen motion sickness and stimulates sweating. Recipes- There are plenty of recipes that I can make that needs ginger for the peppery flavor. Curries and stir-fry are the most common of all. You’ll feel the energy soon after you taste the spicy dish. Ginger Bread Cookies- Surely you’ve heard of the traditional gingerbread cookies? I tell you, it never grows old. Ask the kids around, especially on holiday season! Ginger Candies- a handful of these candies can keep you awake during long travel and also tedious school hours. Here’s my favorite pack for you. In addition, it’s a relief to a sore throat and coughs too. I’ve long been using ginger as a spice at home before I learned its useful for numerous remedies. Ginger can be a powder, oil, tea, fresh or converted into capsules but still, the benefits that you can get from it stays the same. 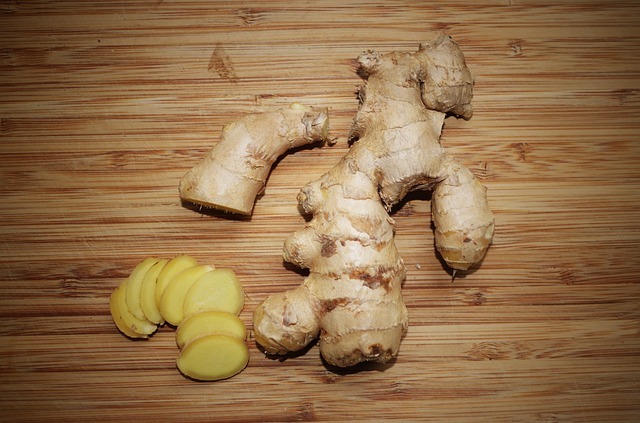 See healthy ways to use ginger at home. Ginger Essential OilFor therapeutic use, you can find ginger essential oil for topical application. Massaging it to aching parts of your body can ease the pain. Be sure to choose 100% pure ginger oil for better results. Ginger PowderGinger powder is a convenient way to use for cooking. However, sprinkle this powdered ginger to a warm bath as a relief for sore muscles and stressful body pains. Ginger CapsulesIf you like to have a daily dose of ginger supplement, there are plenty of ginger supplements available on the market for your convenience. It’s an easy and fast way to enjoy ginger’s health benefits. We have discussed the wonders of gingers thoroughly, but can we find healthy ways to use ginger for infants and expecting moms? Is it even safe to apply the same? Worry no more! Ginger has been around for centuries as a medicine, and it’s also a general treatment for babies and expecting moms. Sprinkle a bit of ginger to their diet. So it’s advisable to let your little one get acquainted with the taste after introducing solid food. Lessens pain due to gas and colic attacks. The treatment for whooping cough. Decreases congested nasal passageway, sneezing, and cough. It controls sugar and cholesterol level for pregnant women. Neutralizes the agony of bloating. Although proven to be healthy in so many ways, there’s always an extra warning for natural medications. You can only provide a small amount for babies. Just enough for them to tolerate. The spicy taste and scent could be too much for infants to stand. A big NO to mixing ginger with honey to baby’s food. Honey is known to hold spores of bacteria that could bring harm to your child. A heavy dosage of ginger can cause miscarriage or hemorrhage. If you’re pregnant and have a real concern with diabetes and high blood pressure, consult your doctor first before taking ginger remedies. Although ginger is promising, use it in moderation. Pregnant women have limitations on dosage. There are capsules, candies, powder and even chewable for us to choose from when it comes to healthy ways to use ginger. Ginger is a proof that nature answers our need on a medical solution. Have you learned a lot today?